The facts: John buys a unit in a sectional title scheme. He pays much more for a specific unit, which is situated right next to a small park, with an attractive view. A year later bulldozers arrive and begin to turn over the park. The developer tells John that 20 more units are going to be built in the park area. What can John do? The right to extend a sectional title scheme should be specifically pointed out to the buyer in the deed of sale. If this is not mentioned in the deed of sale, the buyer has the right to cancel, give back the unit and have his money returned to him. In order to properly protect the buyer’s rights, the transfer attorneys must sign a certificate to confirm that the buyer wants to proceed with the transaction despite the fact that this right is not pointed out in the deed of sale. The transfer attorney therefore has a certain duty in this case. 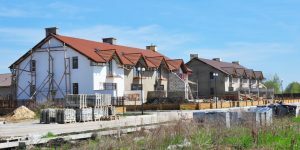 The right to extend then gives the developer the right to erect further units on the communal property within a period stipulated in the contract. Should the development affect the current owner’s enjoyment and use of his unit, e.g. the deprivation of an attractive view, the Sectional Titles Act (Act 95 of 1986) very explicitly provides that the buyer should have been alerted to these facts. If the deed of sale does not include an extension right, the buyer may cancel, return the property and get back his money. If the buyer was aware of it, he has no rights in this case. What if the buyer wants to keep his property but wants to reclaim the extra amount he paid? It is a year later and John is settled in his home. He does not want to give back the property, but still feels that he was cheated. There is a legal action referred to as actio quanti minoris. If the shortcoming in the contract is not so substantial that it entitles the buyer to restitution, he can demand that the purchase price be lowered. In this case John can negotiate with the developer to have the purchase price lowered. Therefore, read the deed of sale thoroughly before you sign it.